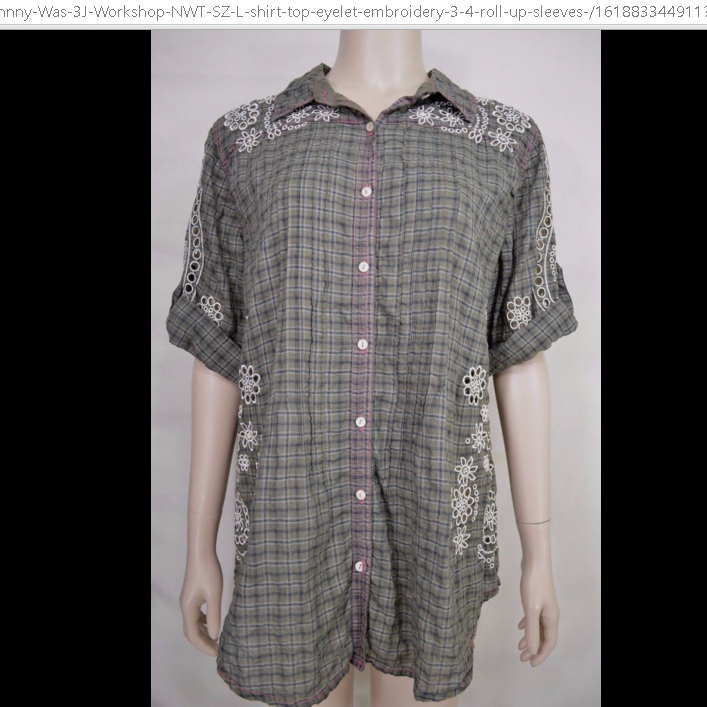 NWT, SZ L, eyelet embroidery, 3/4 roll-up sleeves. 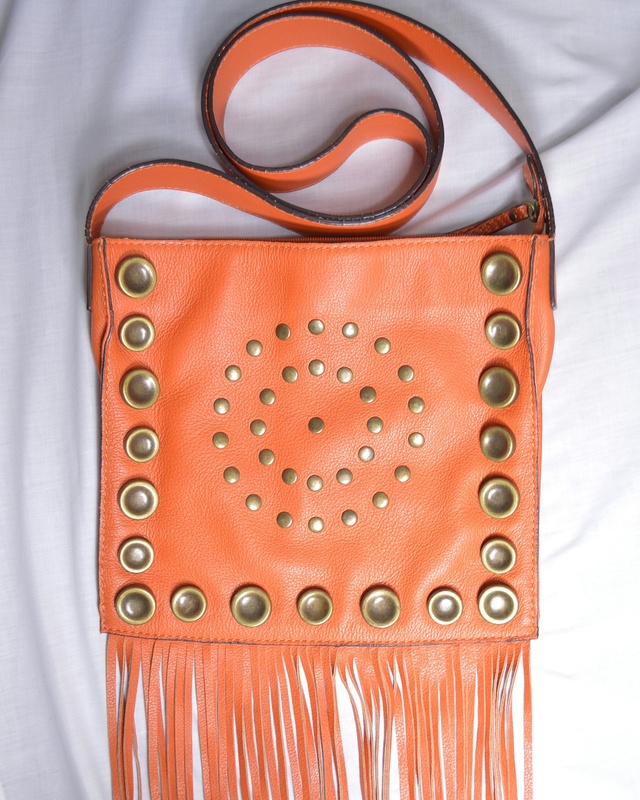 HYPE orange leather fringe crossbody messenger bag with studs. The leather is soft and flexible. 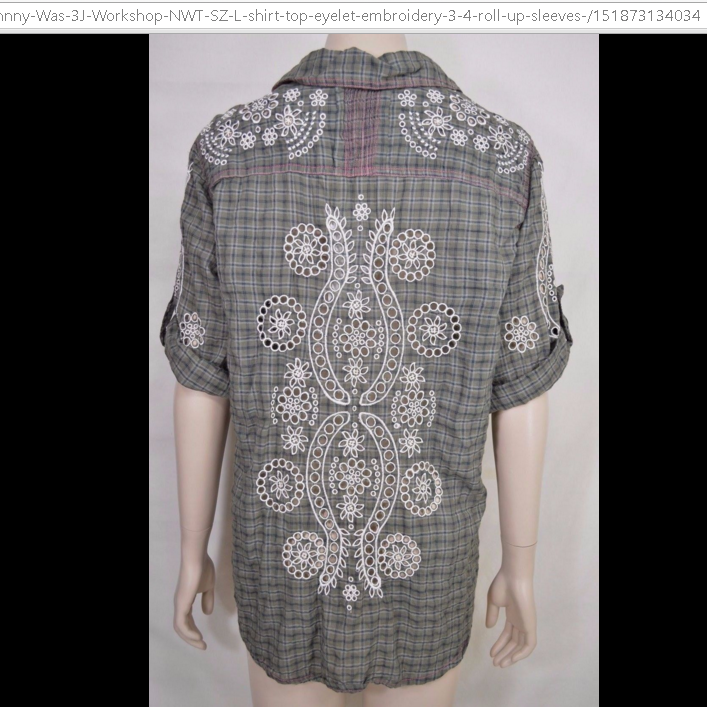 All fringe and studs are still attached. Or you may want to just ‘squeeze’ into’ these. I would keep them if I could wear them… 😦 But, no chance for me. 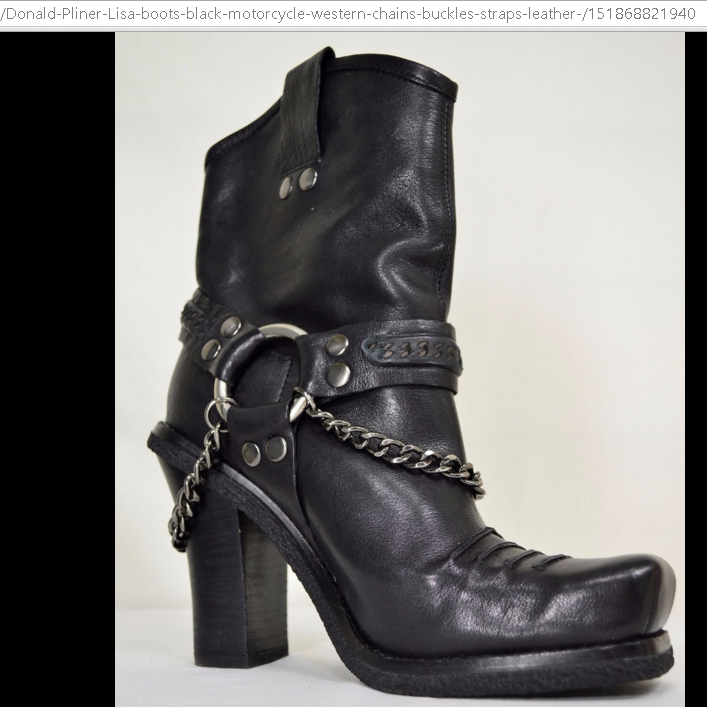 Above ankle, black soft as glove leather, with chains and buckles straps around front and back, square toe, rubber soles with high stacked heels. Or TheCurrentFashion.com … Then, scroll down a few inches and on the left side of the page is Categories.